Michael Jackson, the child singer who became the world’s biggest pop star before his personal life became grist for the tabloids, died yesterday at the age of 50. The self-proclaimed “King of Pop’’ was rushed from his home in Los Angeles to UCLA Medical Center shortly after 12:30 p.m. by paramedics who reportedly performed CPR in the ambulance. The Los Angeles Times reported that Mr. Jackson was not breathing when paramedics arrived at his house in the Bel-Air neighborhood, and other outlets reported that he died of cardiac arrest. Police robbery-homicide detectives were ordered to investigate, which is common in a high-profile case, and they began searching the home. Mr. Jackson’s death came weeks before what was expected to be a major comeback for the star, who had lived mostly out of the spotlight since his acquittal on charges of lewd conduct with a child in 2005. He was scheduled to play 50 concerts at London’s O2 arena beginning next month and running through early 2010. Concerns about his health and ability to endure such a rigorous performance schedule were allayed in March when the concert’s promoter, AEG Live, said he had undergone a 4 1/2-hour physical examination. 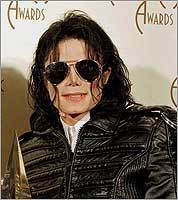 With such monster hits as “Beat It’’ and “Billie Jean,’’ Mr. Jackson was the biggest entertainer of his time, and his popularity endures a quarter-century after his peak. His 1982 album “Thriller’’ has sold more than 100 million copies worldwide, making it the best-selling album of all time. His dance routines were as compelling as his music; kids grew up trying to mimic his signature dance, the moonwalk. Mr. Jackson influenced a generation of singers and songwriters, but later his phenomenal success was overshadowed by his eccentric behavior. He kept a chimp named Bubbles as a companion, often wore a surgical mask in public, and once wore pajamas to court. His appearance was a constant source of controversy as well; his skin color got lighter, and his nose got increasingly slimmer. Fans across the world mourned publicly. They gathered outside the hospital in Los Angeles, at his childhood home in Gary, Ind., and in New York’s Times Square, where people watched the news on the Jumbotron. Television stations as far away as Tokyo interrupted their broadcasts with news of Mr. Jackson’s death. As word of his death spread, members of the entertainment community offered praise for his legacy and condolences to his family through statements and Twitter updates. 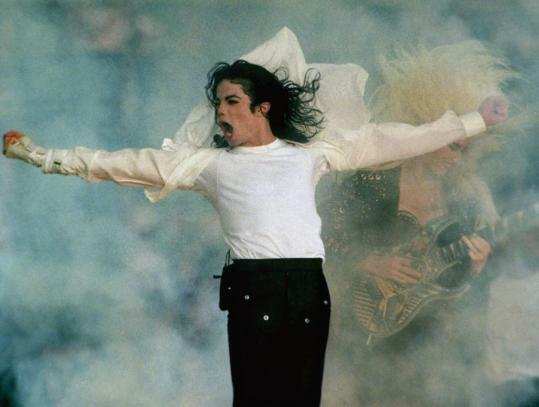 Media outlets quickly began paying tribute to the 13-time Grammy winner. Boston top-40 station Kiss 108 (WXKS-FM), played nothing but Michael Jackson music. Eight Michael Jackson and Jackson 5 albums immediately soared onto Amazon.com’s list of its 25 best-selling albums. “Every generation has its icons, and the MTV generation has just lost its first big icon,’’ said a stunned Joe Cortese, host of the long-running show “Back to the ‘80s Friday Night’’ on Mix 98.5 (WBMX-FM). Cortese plans to devote an hour of tonight’s program to Mr. Jackson. The multiplatinum superstar, who was enshrined in the Rock and Roll Hall of Fame in 2001, was born Michael Joseph Jackson in Gary, Ind., on Aug. 29, 1958, the seventh of nine children to Joseph, a steelworker, and Katherine Jackson. In 1993, allegations of child molestation emerged. He wasn’t charged, but two years later he settled out of court with the family of the 13-year-old boy. In 1994 he married Elvis Presley’s only child, Lisa Marie, but the marriage ended less than two years later. In 1996 he married nurse Debbie Rowe, with whom he had two children; the couple divorced in 1999. Mr. Jackson was accused of molesting a second 13-year-old boy in 2003, and this time he was charged with lewd conduct with a child, though in 2005 he was acquitted of all charges. Mr. Jackson leaves his three children, Prince Michael Joseph Jackson Jr., Paris Michael Katherine Jackson, and Prince “Blanket’’ Michael Jackson II; his parents, Katherine and Joseph; brothers Tito, Marlon, Jermaine, Jackie, and Randy; and sisters Rebbie, Latoya, and Janet. Mark Shanahan and Meredith Goldstein of the Globe staff contributed to this report. Wire material was also used.